LIC of India is a financial organisation in India. The full form of the name LIC is Life Insurance Corporation of India. It is a governmental organisation that provides life insurance to the citizens of India. They offer diverse types insurance policies to protect the person and their families in future. LIC agents are the marketing executives who sell insurance policies according to the need of an insurer. These are the people who meet individuals, businesses, corporates and organisations to offer the best fitted policies as per the suitability. There are two types of LIC agents in India. One who sells only LIC insurances policies and the other who sells diverse companies’ policies. The former is called captive while the later is termed as free lance agents. What do LIC agents do? LIC Agents are one who guide the individuals or the businesses while selecting a proper policy. People who are unaware of such investments can take help from the LIC Agents anytime. Agents guide them properly about the insurance of life, health, properties, assets, and business and so on. According to the requirement the agents offer the policies. Afterwards the agent guides their customers regarding premium, interest, coverage and maturity of the policies. How customers can get benefitted from the policies and what kind of problems they face and so on are told by the agents to the users. Age Criteria: To become a LIC Agent, one has to be legally adult. That is the person who is applying for the agent’s job must be above 18 years. There is no upper age limit for this particular job. Education Qualification: For this job, the applicant must pass 12th standard from any recognised school under recognised boards in India. There is no upper limit in educational criteria for this job. Anyone who has completed 12th standard can apply for the job. Communication Skill: As this is a sales job, it is important for the applicant to have excellent communication skill. It does not matter what language the applicant is proficient in, he/she has to be smart enough to deal with the potential buyers. Experience: No such experience is needed to become a LIC agent. However, if the applicant has experience it will help them to take up the job easily compare to the ones who are not experienced. Anyhow, the LIC of India provides proper training to each of the selected applicant before starting up the job on regular basis. To become the LIC Agent, the candidate has to register their names under the LIC of India web portal. There are two ways through which the candidates can apply, online & offline. 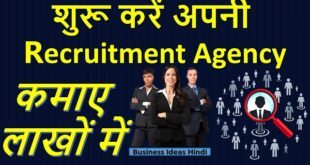 For the online registration, the candidate is required to click on the following link https://agencycareer.licindia.in/agt_req/. In this link, candidates will find several options. If the candidate is registering for the first time then he/she has to choose the ‘Sign-up’ option. On the ‘sign-up’ page the applicants will be asked to enter their mobile number and a security code. The code is shown on the page. The applicant has to provide both the information and click on the Submit button to proceed further for registering his/her name as agent. . In case of Offline process, the candidates can directly visit to the LIC branch and talk to the development officer about the job. On the other, after submitting the online form, the candidates are required to visit the office for documents verification process. In case of offline process registration and verification both can be done in a single visit. After verification, the candidate has to appear for an interview with the manager in charge in the office. After the interview the agent will be notified whether he/she has been selected for the job or not. LIC Agents are given proper training to make them industry ready. Total of 25 hours of training has been conducted by the LIC officials. This training is also available online. Training will be given if the candidate gets selected for the job. For online training candidates can visit the official web portal of LIC of India. The mandatory documents for taking the training will be given to the candidate by the branch manager. For the offline training, candidates can visit the LIC Training Centres. They will be sent to the centres to gather more information regarding the insurance business and such. Every LIC agent has to appear for IRDA to become a registered agent. Once they successfully completed the training, they have to pass this examination. Insurance Regulatory & Development Authority of India or IRDA takes place every year. They have to clear the examination successfully. Those who cannot pass the test will not be able to become LIC Agent even after selected in branch interview. Registration:To become LIC Agent, people do not have to spend a lot. A minimum fee must be paid for the registration and training process. For registration under LIC of India, Rs. 150/- is required as registration fee. Another Rs. 150/- will be needed for training. Training:If the candidate is taking online training, he/she has to pay Rs. 150/- as online training fee. Otherwise, there will be no cost for the classroom training. IRDA Exam: After completion of the training, candidates will have to appear for IRDA examination. The examination registration fee is Rs. 425/- per candidate. This fee does not include the study material and books for IRDA examination preparation. As a whole the candidate has to bear Rs. 725/- (at the maximum) to become a LIC Agent. LIC Agent Licence can be obtained by successfully completion of the IRDA examination. After clearing the examination, candidates get licence, Identity card and Login ID. Once the candidates get the licence they will become the verified and legal LIC Agents. They have to carry their official ID card while visiting the buyers. The login ID will be needed to log in to the website for making several reports and such. Age Proof: Firstly applicants are required to submit their age proof. They can provide birth certificate or mark sheet of 10th This document is used as the age proof in LIC of India offices. Educational Documents:All the candidates who are applying for this job have to submit the proof of their education. As each applicant has to pass 12th standard, they have to present their mark sheet as their educational document. Along with that if any candidate has studied more like graduate or post graduate, he/she has to submit them as well. Identity Proof: All the candidates are required to submit one of their identity cards such as aadhaar, PAN, driving license, Voter ID or any such document that ensures the candidates’ citizenship in India. . Photos: Candidates are required to submit 3 numbers of passport sized photos at the time of registration. One of the photos will be used in the identity card of the agent after being selected. All the photos must be clear and coloured. Also the face should be clearly visible. For the LIC agents, there is no basic salary. They earn on the basis of their sales. It is a Target basis job and if the agent meets the target within proper time he /she earns hefty amount of commission. Also the commission depends on how much business they are generating in a month. On the other, if the commission is calculated based on premiums, then 2% of the premium goes to the agent as commission. Some of the plans have commissions based on the time limit. As long as the plan goes the commission gets increased. As for example if the plan renews for the second year and then third year, the commission will be at 7.5%. For fourth and fifth year it will be at 6%. There are LIC agents who can earn up to Rs. 1 Cr a year. This solely depends on the plans they are selling and the premiums buyers are paying. Time saving job: LIC agents can work in swift timings or shifting hours. It has no time limit that can be setin a day. Agents can spend the whole day on this or can save some time for other jobs as well. It can also be done on part-time basis as well. Attractive remuneration:Though it does not have a base salary, but it has attractive remuneration. More you crack deals, more remuneration you will earn from them. It has no upper limit of income. Facilities: LIC agents receive almost same kind of facilities that grade 3-4 government employees do. Facilities such as medical, life insurance, pension, gratuity and so on will be given to LIC agents during his/her service and after retirement. Insecure job: The job here in insecure. If you fail to meet the target, you may lose the job. Not only that, you can never expect how many policies will be sold and how much commission you will manage to earn after a month. Sales Goal:One has to fulfil the sales target on monthly basis. This is a huge pressure that bothers the agents. Failing to do so, can lowering down the agent’s income for several months.